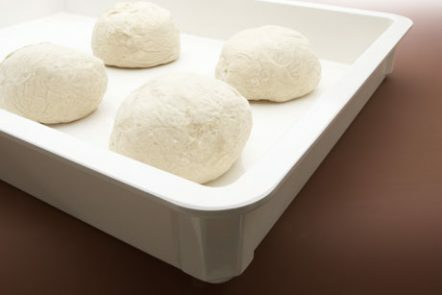 MFG Tray dough trays and dough boxes readily integrate into large production pizza and baking operations for improved product handling and storage. Secure and tight stacking capability protects and extends product life and reduces the frequency of dough production, and the smooth surface resists stains and moisture and is easily cleaned in standard washers. 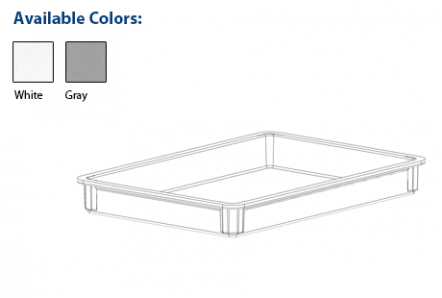 MFG Tray dough boxes may be used intermittently in temperatures ranging from -60° to 250° F (-51° to 121° C), and composite construction ensures dimensional stability without warping or sagging, regardless of changes in temperature or humidity. 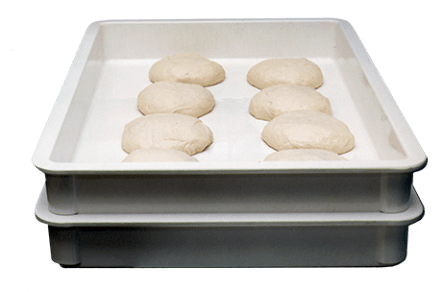 MFG Tray standard dough trays and dough boxes are offered in three depths, 3″, 4.5″ and 6″, in two colors for dough rotation. Stacking ventilation dough trays and boxes with drop ends or sides are available in additional sizes. 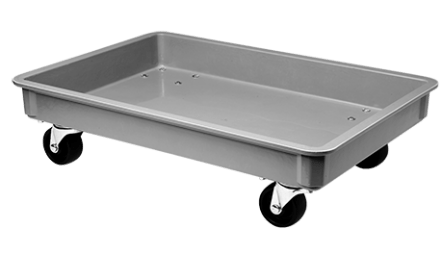 Optional dollies are available for ease of transport throughout the operation, and snap-on lids are also offered for added product protection during proofing or storage, making them perfect for catering and other mobile applications. We always suggest the use of plastic utensils to protect your investment.